Once you have tried this you will never cook a plain roast chicken again. The smoky, sticky, sweet glaze transforms the chicken to new heights. It really is finger-licking good. You can choose other vegetables for this dish but I love the gooey, sweet potato nuggets and the crispy, caramel brown, cauliflower edges. The sweet potatoes in this dish are packed with vitamin A, a natural antioxidant and immune booster which helps make it a great one to help fend off colds and flu. 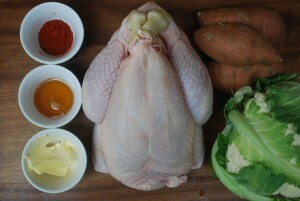 Take your whole chicken and smear the softened butter all over the top of the breasts and legs. Then sprinkle over and smear in the smoked paprika. 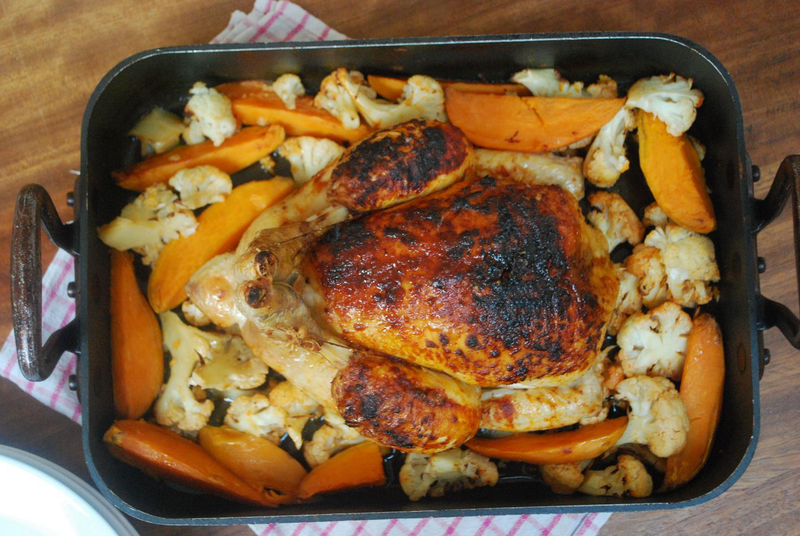 Place in a large roasting tin with enough room around the chicken to put your vegetables. 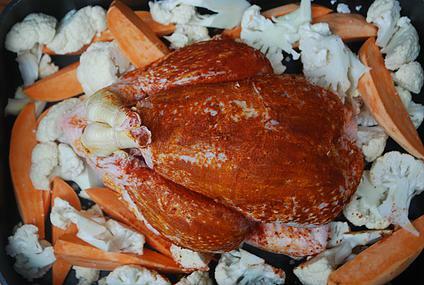 Scatter your cauliflower florets and sweet potato wedges around the bird then and pour in the water. This will keep a steamy environment and help cook the vegetables through. Place some tin foil tightly over the top of the roasting tin and cook for 40 minutes. 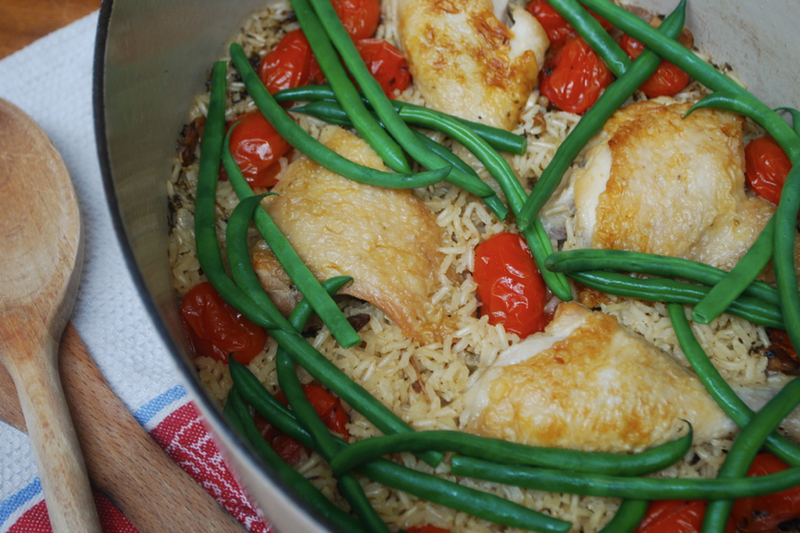 Baste the bird and stir all the vegetables well and place back in the oven for another 15 minutes without the tin foil. Take out of the oven one final time and baste. Next, pour the honey over the top of the chicken and stir the veg one last time. Cook for a final 10-15 minutes. 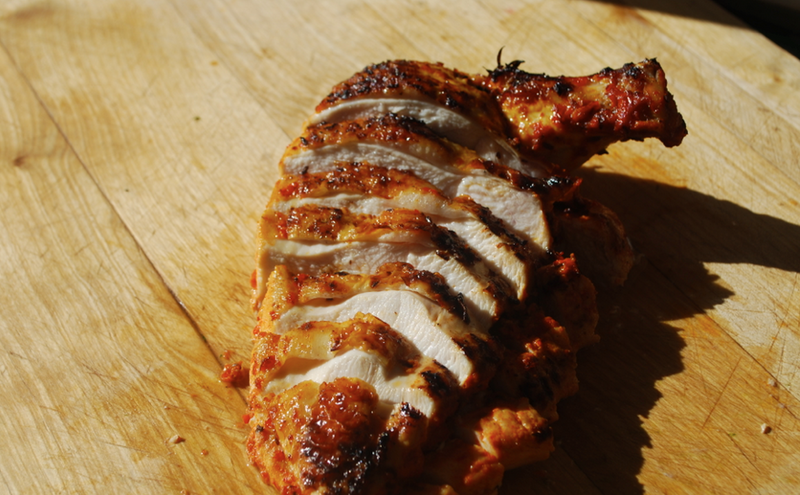 Leave the chicken to rest for about 10 minutes ideally, for the juices to re-distribute and the meat to relax. Slice and serve with the roasted vegetables on the side. 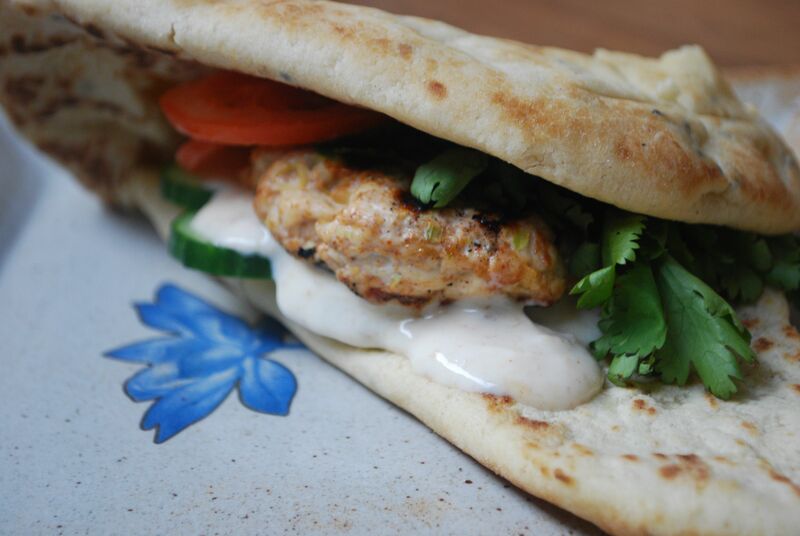 This is more of a family meal to be eaten together so not ideal to be reheated but the leftovers are a wonderful wrap filler.